TIP GARDEN: Why you Saute/Brown Rice Before Cooking? Why you Saute/Brown Rice Before Cooking? Have you ever wondered why those little boxes of Rice mixes often have you sauteing or browning the rice in a skillet before cooking? Well there is really a scientific reason for it! The short answer is: To keep it from overcooking and becoming mushy. The longer answer is that by creating a sauted more hard crusty out shell on the rice, it helps slow down the water aborption during the cooking process and keeps it from becoming too mushy or gummy by over cooking. Sauteing suggestions: I usually use butter or olive oil, just a few tablespoons. in a skillet over medium heat. Heat 4-6 minutes, stirring very frequently, just until rice begins to change color. 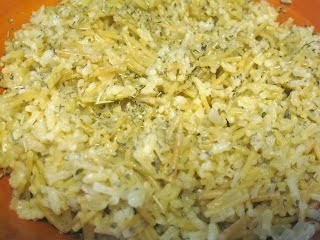 Proceed with the cooking directions on the rice recipe. crock pot cooking or casserole type dishes, such as Chicken and Rice. 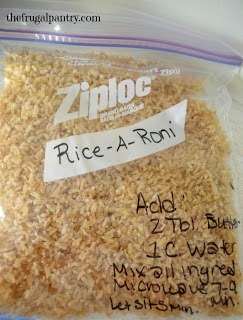 Want to make your own Rice a Roni mix and save oodles of money and trust the ingredients? Here is my recipe for making your own!